Click resource titles or images to be redirected to that website. The Kentucky Department of Veteran Affairs job is to ensure that veterans and their families receive all the benefits and services they have earned. 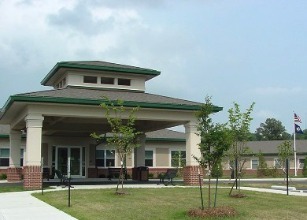 They provide information about benefits counseling, skilled long-term care at state veteran’s centers, and dignified interment at state veterans cemeteries, health care, education, employment and special programs for women veterans, homeless veterans and others. Extensive information on all state military and veteran services and resources. This link will help veterans find leads on jobs, locate military personnel offices near you, provide information on VA health services, benefits, and veteran rights. 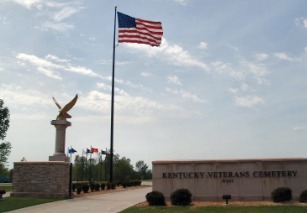 The commonwealth of Kentucky provides several veteran benefits. This site will provide brief descriptions on each of the benefits which include: Housing, Financial, Employment, Education, Recreation, and other commonwealth benefits. The American Legion is veteran’s service organization that is committed to mentoring youth and sponsorship of wholesome programs in the communities, advocating patriotism and honor, promoting strong national security, and continued devotion to our fellow service members and veterans. The Veterans of Foreign Wars (VFW) offers a wide range of assistance programs aimed at helping veterans of every generation. This assistance includes providing free professional help filing or appealing a VA claim, offering scholarships for post-secondary education, or providing emergency financial relief when times get difficult. The Warrior 180 Foundation is a Christ centered organization that has been established to reach out to military, veterans and their families with the saving grace of Jesus Christ, by teaching and training local communities. They also provide comfort, support, resources, hope and help for the struggles facing the military, veterans, and their families. Last they challenge the church to be faithful in supporting those who have put their lives on the line and supported our country. They provide by teaching and preaching to encourage the church. The Wounded Warrior Project’s (WWP) mission is to honor and empower Wounded Warriors, WWP is the hand extended to encourage warrior as they adjust to their new normal and achieve new triumphs. WWP offers a variety of programs and services with every type of injury, from the physical to the invisible wounds of war. This program can assist the military and their families where the injury incurred on or after September 11, 2001. Canine Companions enhances the lives of children, adults, and veterans with disabilities by providing highly trained assistance dogs to help them with practical, everyday tasks, as well as provide unconditional love and acceptance since 1987. 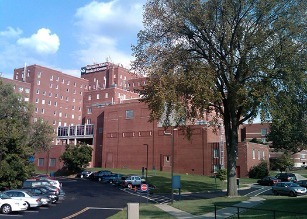 The North Central Training Center serves several states including Kentucky. AARP and the U.S. 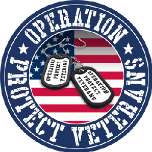 Postal Inspection Service have launched Operation Protect Veterans to help raise awareness of common scams targeting veterans. Here are some of the scams to watch out for. To learn more download the Watchdog Alert Handbook or call the AARP Fraud Watch Network Helpline at 1-877-908-3360. P.A.C.S. Transportation is devoted to serving those who have served us by providing low cost and cost free transportation for Veterans of the United States Military. 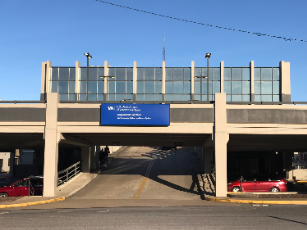 Transportation to and from medical services, school, employment, and other activities has become difficult for many Veterans due to a disability, illness, or financial hardship. The West Kentucky Workforce Board provides job seeker services for veterans, transitioning service members, and eligible spouses. Veterans and eligible spouses receive priority of service at Local Career Centers. 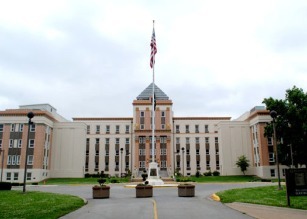 The Ft. Campbell Strong initiative is a collaborative effort that began in 2015 to define a path for economic diversification and growth in the six-county region surrounding Ft. Campbell including Christian, Todd, and Trigg counties in Kentucky along with Montgomery, Stewart, and Robertson counties in Tennessee. In a joint effort, the Kentucky and Tennessee region surrounding Fort Campbell completed a multi-phased integrated effort to clearly identify and assess the impact of military personnel reductions while developing a long-term economic diversification and growth plan that reduces the region’s reliance on Fort Campbell. The purpose of the planning effort was to not only address short term fiscal, economic and social impacts of the reduction of troops, but to develop a long term road to recovery and diversification of the economic base of the region surrounding Fort Campbell. Source for information on the Fort Campbell area's economy & workforce. 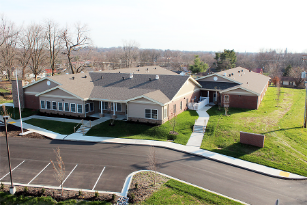 The Pennyroyal Veterans Center consist of 25 rooms with each room housing two men for identified homeless veterans which will provide treatment for issues such as substance abuse, mental health, job skills, and education benefits. Veterans will receive three meals each day in addition to being provided clothes and toiletries. Each individual will be evaluated and based on their need, they will enter a variety of programs designed to enable them to be individually successful. 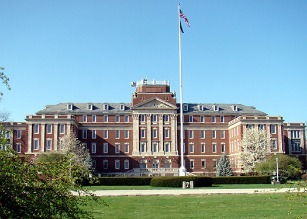 Referrals can be made by Pennyroyal Mental Health or a veteran has the ability to stop by the center their self to make the referral, but may not be able to stay at the center until Veterans Affairs deems the individual eligible. 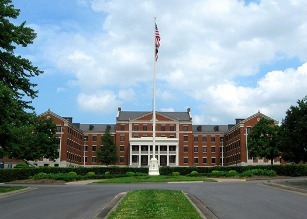 The Hopkinsville VA Clinic offers Primary Care, Mental Health, Social Work, Dietician, Pharmacist and Behavioral Health services to Veterans in the Hopkinsville area.